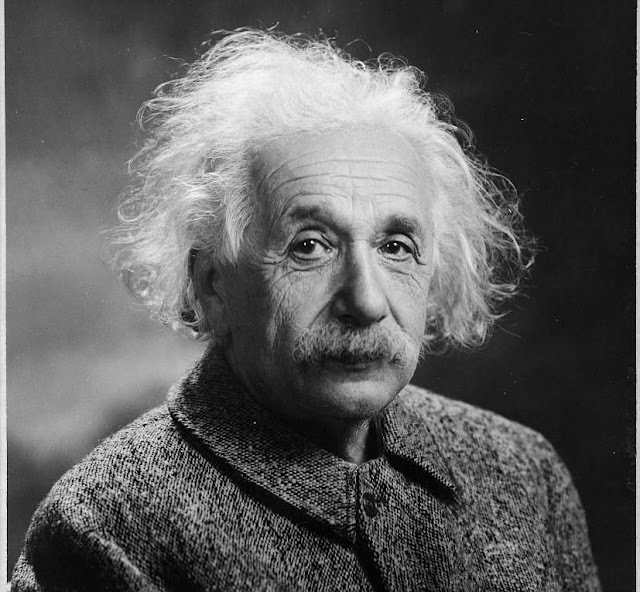 Albert Einstein was a German-born theoretical physicist who developed the general theory of relativity, one of the two pillars of modern physics. 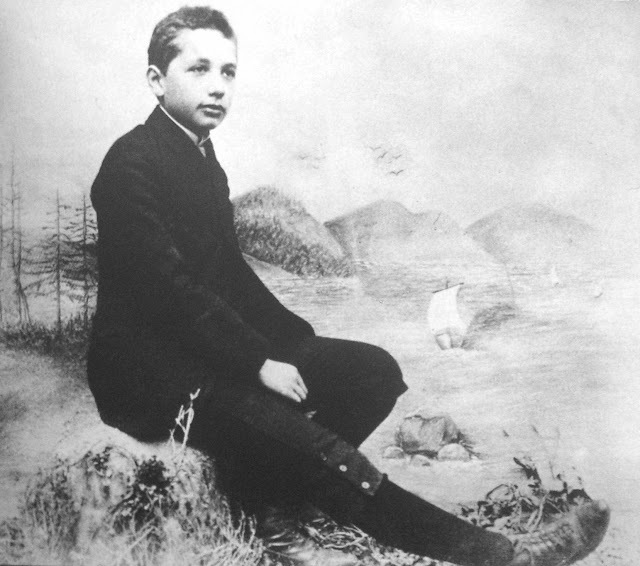 Einstein’s is also known for his influence on the philosophy of science. “School failed me, and I failed the school. It bored me. The teachers behaved like Feldwebel (sergeants). I wanted to learn what I wanted to know, but they wanted me to learn for the exam. What I hated most was the competitive system there, and especially sports. Because of this, I wasn’t worth anything, and several times they suggested I leave. This was a Catholic School in Munich. I felt that my thirst for knowledge was being strangled by my teachers; grades were their only measurement. How can a teacher understand youth with such a system? From the age of twelve I began to suspect authority and distrust teachers. I learned mostly at home, first from my uncle and then from a student who came to eat with us once a week. He would give me books on physics and astronomy. The more I read, the more puzzled I was by the order of the universe and the disorder of the human mind, by the scientists who didn’t agree on the how, the when, or the why of creation. Then one day this student brought me Kant’s Critique of Pure Reason. Reading Kant, I began to suspect everything I was taught. I no longer believed in the known God of the Bible, but rather in the mysterious God expressed in nature. If we look at this tree outside whose roots search beneath the pavement for water, or a flower which sends its sweet smell to the pollinating bees, or even our own selves and the inner forces that drive us to act, we can see that we all dance to a mysterious tune, and the piper who plays this melody from an inscrutable distance—whatever name we give him—Creative Force, or God—escapes all book knowledge. Science is never finished because the human mind only uses a small portion of its capacity, and man’s exploration of his world is also limited. Creation may be spiritual in origin, but that doesn’t mean that everything created is spiritual. How can I explain such things to you? Let us accept the world is a mystery. Nature is neither solely material nor entirely spiritual. Man, too, is more than flesh and blood; otherwise, no religions would have been possible. Behind each cause is still another cause; the end or the beginning of all causes has yet to be found. Yet, only one thing must be remembered: there is no effect without a cause, and there is no lawlessness in creation. If I hadn’t an absolute faith in the harmony of creation, I wouldn’t have tried for thirty years to express it in a mathematical formula. It is only man’s consciousness of what he does with his mind that elevates him above the animals, and enables him to become aware of himself and his relationship to the universe. I believe that I have cosmic religious feelings. I never could grasp how one could satisfy these feelings by praying to limited objects. The tree outside is life, a statue is dead. The whole of nature is life, and life, as I observe it, rejects a God resembling man. Man has infinite dimensions and finds God in his conscience. [A cosmic religion] has no dogma other than teaching man that the universe is rational and that his highest destiny is to ponder it and co-create with its laws. I like to experience the universe as one harmonious whole. Every cell has life. Matter, too, has life; it is energy solidified. Our bodies are like prisons, and I look forward to be free, but I don’t speculate on what will happen to me. I live here now, and my responsibility is in this world now. I deal with natural laws. This is my work here on earth. The world needs new moral impulses which, I’m afraid, won’t come from the churches, heavily compromised as they have been throughout the centuries. Perhaps those impulses must come from scientists in the tradition of Galileo, Kepler and Newton. In spite of failures and persecutions, these men devoted their lives to proving that the universe is a single entity, in which, I believe, a humanized God has no place. The genuine scientist is not moved by praise or blame, nor does he preach. He unveils the universe and people come eagerly, without being pushed, to behold a new revelation: the order, the harmony, the magnificence of creation! And as man becomes conscious of the stupendous laws that govern the universe in perfect harmony, he begins to realize how small he is. He sees the pettiness of human existence, with its ambitions and intrigues, its ‘I am better than thou’ creed. This is the beginning of cosmic religion within him; fellowship and human service become his moral code. Without such moral foundations, we are hopelessly doomed. If we want to improve the world we cannot do it with scientific knowledge but with ideals. Confucius, Buddha, Jesus and Gandhi have done more for humanity than science has done. We must begin with the heart of man—with his conscience—and the values of conscience can only be manifested by selfless service to mankind. Religion and science go together. As I’ve said before, science without religion is lame and religion without science is blind. They are interdependent and have a common goal—the search for truth. Hence it is absurd for religion to proscribe Galileo or Darwin or other scientists. And it is equally absurd when scientists say that there is no God. The real scientist has faith, which does not mean that he must subscribe to a creed. Without religion there is no charity. The soul given to each of us is moved by the same living spirit that moves the universe. I am not a mystic. Trying to find out the laws of nature has nothing to do with mysticism, though in the face of creation I feel very humble. It is as if a spirit is manifest infinitely superior to man’s spirit. Through my pursuit in science I have known cosmic religious feelings. But I don’t care to be called a mystic. I believe that we don’t need to worry about what happens after this life, as long as we do our duty here—to love and to serve. I have faith in the universe, for it is rational. Law underlies each happening. And I have faith in my purpose here on earth. I have faith in my intuition, the language of my conscience, but I have no faith in speculation about Heaven and Hell. I’m concerned with this time—here and now. Many people think that the progress of the human race is based on experiences of an empirical, critical nature, but I say that true knowledge is to be had only through a philosophy of deduction. For it is intuition that improves the world, not just following a trodden path of thought. Intuition makes us look at unrelated facts and then think about them until they can all be brought under one law. To look for related facts means holding onto what one has instead of searching for new facts. Intuition is the father of new knowledge, while empiricism is nothing but an accumulation of old knowledge. Intuition, not intellect, is the ‘open sesame’ of yourself. I do not need any promise of eternity to be happy. My eternity is now. I have only one interest: to fulfill my purpose here where I am. This post was republished from truththeory.com. You can find the original post here. The 6 Principles of being a Superhuman!